MY STORAGE is committed to make your life simple and give you back the peace of mind you deserve. Our facility provides secure, convenient and cost effective storage solutions to meet all your storage needs. Households and small or large companies can all benefit from using MY STORAGE flexible storage services at Jungceylon Shopping Center in Patong, Phuket, Thailand. 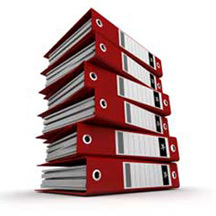 Why Storing Your Company Records at MY STORAGE is a Great Idea! MY STORAGE Self Storage provides compartmentalized records storage solutions for today’s businesses. We offer a new service to the one of you out there in need of archive storage solution, your records can either be stored in dedicated standard units or in our record management area. At our secure, clean, dry, pest free, well lit and “easy-to-use” storage facility archiving is made simple. Off site archive and records storage will save you money, time, space and guarantee secure storage of your records plus the ability to accurately access your chosen records fast. - Archive units are identical to our standard storage units and very suitable for installation of a racking system if you wish to maximize the space for archive and documentation storage. Whether you have as little as 10 archive boxes to store or an entire archive, MY STORAGE can provide the solution that is right for you and even supply high quality boxes. You just choose which type of storage solution fit your specific needs. - Hotel and hospitality sector. - Insurance and the public sector. - Law firms and accountants. Contact MY STORAGE Self Storage to further discuss your storage needs.